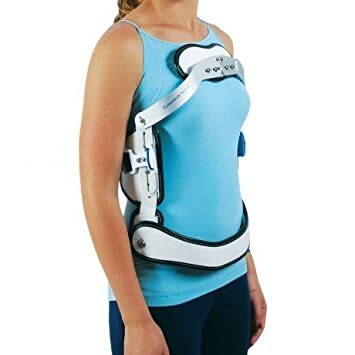 This Back Brace is phenomenal, one of its best f is that it has a pulley system so that you can constantly get your back brace as tight as you need it. This is a huge factor because if it is too loose, it will not force you to be completely up right, causing your lumbar scoliosis to still be in effect. 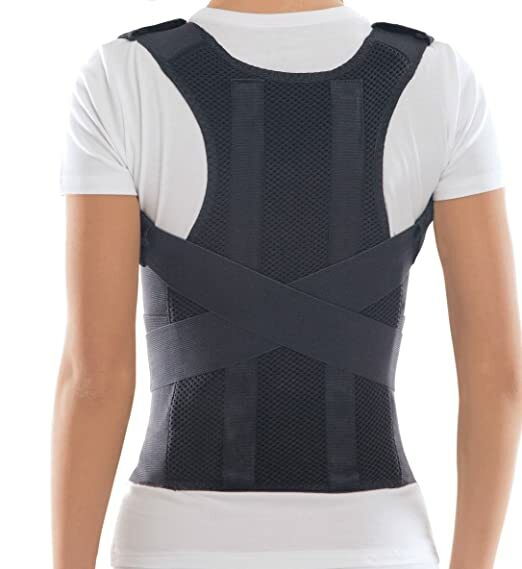 This back brace also is equipped with a nylon mesh side panel that allows air flow maximizing comfort. Finally, this brace is offered in 4 sizes for exact fit. 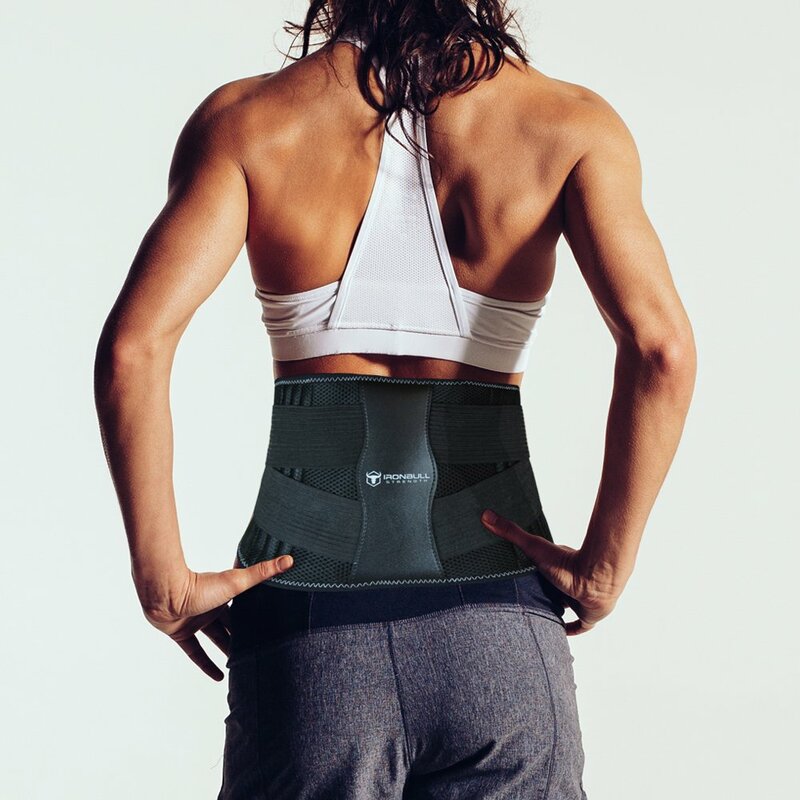 Click HERE to find the best prices for the LSO Lumbar Back Brace. This full body back brace is just great. This back brace allows your entire back to feel the pressure, re-aligning your entire spine. Lumbar scoliosis would not stand a chance against this full body back brace. This back brace also has two metal spine alignment sticks running down either side of the spine, thus forcing the spine into place. This back brace was designed by a manufacturer that has fifteen years in orthopedic product design. This product was rated a 3.5 on Amazon by 595 customers. Click HERE to find the best prices for the Torso-Group Comfort Back Brace. This back brace is ideal for users that want it tight. although, tight braces are better for correcting lumbar scoliosis. This back brace is nice because it allows full range of movement while providing comfortable support. This back brace is designed for proper fit to minimize slipping and bunching. The unique mesh panel releases excess heat and moisture. 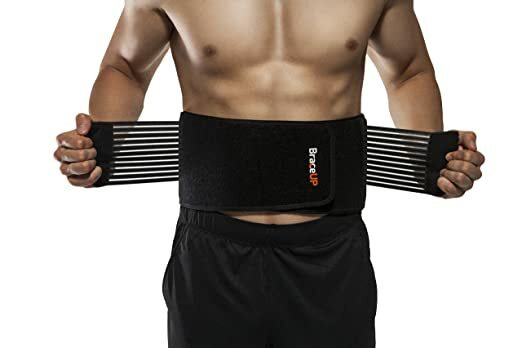 This product is ranked as an Amazon best seller in the back brace category. It was rated a 4.5 on Amazon by 1,075 customers. 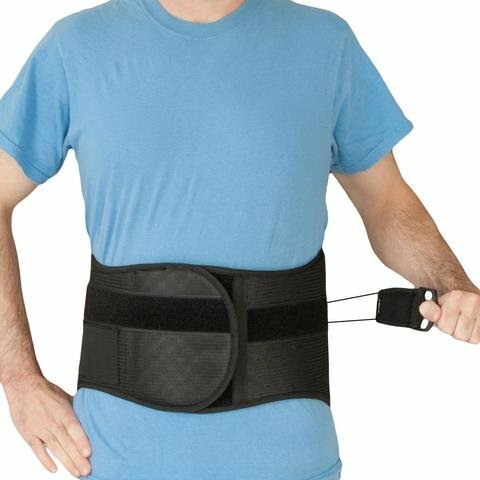 Click HERE to find the best prices for the BraceUp Back Brace. This is quite the unique back brace, it comes with thermal technology that will help reduce your lumbar scoliosis pain while wearing the product. The heat will increase blood flow deep in the lumbar tissue causing you to be more relaxed after wearing this product as well. This ergonomic design of this back brace has reinforced section to provide extra stability throughout the day. The seller is so confident you will love this back brace that they are offering a 30 day 100% money back guarantee! So really, no sweat taking a risk on this product. This back brace was rated a 4 on Amazon by 156 customers. Click HERE to find the best prices for the Medi- Back Brace. This back brace has a unique design. This brace tries to limit the amount of forward bending of the spine and provides stabilization and comfort. This back brace features a spring loaded hing that allows the user to stand, sit, and move around in peace. This product is easy to wear and can be easily adjusted with its quick closure system to maintain a secure fit. This back brace was rated a 3.5 on Amazon by 6 customers. Click HERE to find the best prices for the Orthosis-Small Short Back Brace. In conclusion, back braces can have many benefits when trying to reduce back pain, so why not receive yours today? Those were the Top 5 Best Back Braces for Lumbar Scoliosis, now go back and take a look at your favorite and heal your lumbar scoliosis! P.S. make sure to take a look at our other blogs, they offer great advice when battling back pain. We even have blogs about SHOES! Check it out here, IBI Blog.